Before getting cut, one of SAO's poster slogans read "Changing the conversation about pop culture." This article has been updated since its original posting regarding SAO’s role on campus and the college’s response. First, Williamson’s comment about SAO paying back its costs has been clarified. Williamson was not only referring to finances but also more generally to the value SAO has for the Calvin community. Second, the article has been clarified to indicate that college’s administration did not respond to requests for comment prior to the story’s publication (a previous version simply stated that the college was unable to comment at this time). Third, the headline has been changed from “Calvin cuts SAO and Ken Heffner from budget, students uneasy” to its current form to ensure accuracy. The reorganization of this office is not definite. Chimes regrets this error. Finally, a previous version of the article contained unconfirmed assertions made by an unnamed source about leadership at the college. Those quotations have been removed. Chimes regrets this error. The Student Activities Office (SAO) and its director Ken Heffner, will be cut next year in light of Calvin’s decreasing enrollment. “The Student Activities Office as we know it will no longer be in existence,” said SAO director Ken Heffner, whose position will consequently be dissolved in the coming school year. SAO has been a part of Calvin for over 25 years and is known for bringing concerts and movies to campus. In recent years, SAO has hosted music artists such as Explosions in the Sky, Oh Wonder and fun. SAO also shows popular movies on campus, with recent examples including Green Book, Coco and BlackKklansman. Some of the responsibilities of the Student Activities Office (SAO) will be absorbed by the Campus Involvement and Leadership Office, but things won’t look the same. Because the films and concerts cost money to put on, and that budget is being cut, those activities will likely only happen several times throughout the school year; they will not have the degree of discernment and engaging that has been integral to these activities in the past. John Williamson, who currently works in the Center for Student Success, previously worked in SAO for three years. He also attended many SAO concerts as a student. 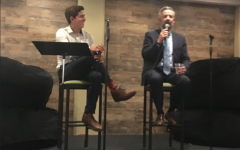 Williamson is passionate about the community SAO created, and he spoke of it as being one of the most important things tethering Calvin College to its theology of engaging God’s world. 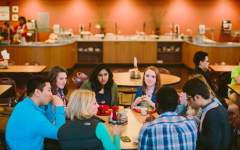 “The SAO is one of the most pure distillations of the theology of Calvin College…. There’s no case that can be made that the SAO doesn’t pay for itself,” Williamson said. According to Williamson, some years SAO’s revenue has made back its $50,000 budget, and has even earned a surplus of $10,000. “Ken’s job has paid for itself and more [in his contributions to the community],” he said. First-year student Ben Fabrizius, who attends SAO student board meetings, said he walked into a meeting late once to witness Heffner “blaring opera music with his eyes closed.” Fabrizius spoke highly of Heffner’s knowledge of and passion for the arts and music. “I don’t know why we’re getting rid of [SAO],” he said. As a branch of the SAO, the Cultural Discerner (CD) program will no longer look the way it does now. The CD is a student leadership position in every dorm which promotes discernment of popular culture among dorm communities. “The CD department isn’t just a leadership opportunity for sophomores in their dorms,” said Heffner. He described it as a “pipeline” for going into other positions with a perspective of discernment. Sophomore Abby Leon, a Cultural Discerner, believes that this cut to the CD program will likely result in even lower involvement. She and the rest of the Cultural Discerners were shocked into silence when Heffner broke the news to them. Williamson spoke of the work that the SAO does to connect to the community. “This is severing one of the arms that reaches into the community [that] says, ‘I know you think we’re a little conservative, but we’re doing some really interesting stuff here, and it’s a safe space,’” Williamson said. Multiple students find it ironic that Calvin is defunding the SAO due to the lack of enrollment, considering that the SAO plays an important role in bringing students to Calvin. Medawar is involved in planning activities for commuter students to get involved on campus. She says the SAO activities are a large part of their programming and the community of these events helps off-campus students to feel involved and connected at Calvin. Heffner also has a separate contract with Calvin regarding his involvement with the Artists Collaborative program, so he will still be teaching the Developing a Christian Mind (DCM) course for students in the program, as well as travelling with them to Northern Ireland next interim, as he did this year. Leon, the Cultural Discerner, has heard rumors of students starting a petition in protest of the decision to cut the SAO. “If Calvin doesn’t listen to that, it says a lot,” Leon said. College’s administration did not respond to requests for comment prior to the story’s publication. Calvin taught me to engage deeply and to see beyond the surface. I’m deeply disappointed to see this decision. It seems short-sighted at best, but more likely unwise and completely inappropriate for our current day and age. Wow, incredibly disappointing news to hear. As a former cultural discerner and SAO member I can imagine Calvin without Ken and the SAO. His impact on teaching students to engage with pop culture is invaluable in my eyes to Calvin’s mission of engagement and every square inch. Having gone to grad school at a public university, the SAO was one of Calvin’s unique features I could point to when telling others about what made the place so special as a Christian Education institution and worth attending vs other options. If Ken is truly on his way out, he will be dearly missed by Calvin’s future students. As a parent, I feel this is an unwise decision. Part of campus life is doing fun things together on campus. I want my daughter to stay on weekends and be involved. With gym hours limited on weekends (another big issue!) and now SAO being cut, students will look elsewhere for entertainment. This sounds short sighted when the school is trying to retain and build enrollment. Give students things to look forward to, to bond, to post on social media, and create a buzz! The days of closing up shop on Sundays are over. Make Calvin the place to be during the week and weekends and students will respond. Several Calvin students have created a Facebook page to discuss this change and how to fix it! The page is called Save SAO #KeepKen. As an alumni, it seems as though many of the changes brought to Calvin recently have brought about the decrease in enrollment, rather than stymie it and the school continues to push away from its historical roots, something that was a basis for the desire to attend Calvin. In a world full of changing ideals and inconsistencies, bedrock foundation is pivotal and it seems like the current leadership is chipping away at that. On the note of Ken Heffner, I’m sorry to see him go and for SAO to have a budget cut, however, the students should find out what Calvin will cut instead of SAO, it may be a class they love, it may be some of the other perks that make Calvin, Calvin. Much like current political wish-list items in Washington, if the money isn’t there, you can’t afford to pay for it. I’m particularly concerned, as I’m sure many are, with the lack of a direct response from the administration. When I was a student the SAO and Ken’s guiding hand in the department were critical to my holistic education. Some things can’t fit in a classroom. Ken found a way to bring the confusing, emotionally charged, vastness of the student experience back under the umbrella of discernment and Christian community. I will carry this invaluable principle, that every square inch is being redeemed, with me for the rest of my life because of Ken and the SAO. Thank you CHIMES for bringing this critical issue to the attention of not only students but Allumni. I look forward to future reports of action being taken to further illuminate this issue, and ways people like me can help. 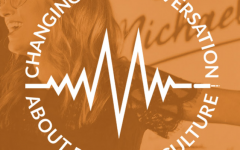 The SAO was one of the ways through which students learned about how popular culture (specifically music and film) is an integral part of society. Not only that, but it taught students to discern (Calvin Buzzword) culture and find the ways in which non-Christian specific art could illuminate truth and spread Christian ideals. When is Calvin going to realize that they aren’t going to increase enrollment by cutting programs for the arts? I feel like the reason most people don’t want to come to Calvin is because it sometimes feels like a school that is stuck in the past, trying to maintain ideals that students disagree with and being a place where it sometimes feels hard to escape the umbrella of a previous generation’s attitudes. We can’t all become nurses and engineers and other scientists. If we did, who would publish the books on which education is built? Who will provide entertainment for people, but also make them think about the world and humanity at the same time? Who will make movies? I sincerely hope that the Calvin Administration will realize what a mistake this is and how it is contradicting values Calvin prides itself on. On Calvin’s own website, they say: “…[We} believe passionately in preparing global citizens to live and work in a diverse and interconnected world.” I hope that they will see that popular culture is part of that “diverse and interconnected world” and how the SAO is an integral part of “preparing global citizens” to interact with it. This is so disheartening! Thanks to SAO I made some of my best Calvin memories. Who can we email in the Calvin administration to reverse this decision? My son, daughter and daughter-in-law all attended Calvin. I know that they appreciated what SAO offered. Always sad to see things cut at the college, especially things that directly touch the students. The bigger question Calvin needs to ask is why enrollment is declining. Perhaps one answer is the astronomical cost of education at Calvin. Students are graduating with debt in an amount that a generation ago would have been considered a mortgage. The fact is that Calvin has priced itself out of the affordable range of most CRC families. When your “base” can’t afford it, you’re going to face enrollment issues. How about Calvin take the lead among Christian colleges, reduce tuition into an affordable range (without encouraging students to incur huge debt), significantly cut the ever-increasing administrative layer, and see what happens with enrollment. If Calvin were $10K less than equivalent Christian colleges, it would be an easy choice for many students. All of these budget cuts and restructurings ultimately stem from Gaylen Byker running up massive debts, held and administered mostly by a company he had close business ties to. It appears that he misled the administration and board about the severity of these debts, which almost certainly constitutes a breach of his fiduciary duty to the college (and possibly also a direct conflict of interest). Why has the college not gone after him in court? When InterOil got acquired by ExxonMobil a few years ago, his outstanding stocks and options probably netted him at least a $30 million exit. He should be held personally liable for the mess he made. Disheartened by this latest development at Calvin, I visited the Facebook page referenced in an earlier comment. While I am generally sympathetic to the effort, I noticed that several eloquent and valid comments from Calvin alumni appear to have since been deleted by the page’s “owner.” That’s not indicative of the Calvin College I remember while a student there 30 years ago, and I find it to be an additional source of discouragement. I attended Calvin from 1999-2003 and was a part of the Student Activities Board under Ken. I can genuinely say that he was one of the most influential part of my Calvin education. He taught me an incredible amount about how to think about culture from a discerning and Christian perspective, and that engaging in arts and culture was just as important to my education as my biology class. On a daily basis I still use this theological and philosophical framework in the marketing world that I currently work in, and it has proven to be an incredibly valuable asset as I navigate my professional career. I don’t know much about the enrollment issues that Calvin is going through, and I’m sure it’s a complicated problem, but just wanted too add my name to the list of so many other Calvin students who were incredibly influenced by Ken and his faithful work through the Student Activities Office. As a recently Calvin alum (2018), this makes me sad beyond words. While at Calvin I lived through the administration trying to cut one of the departments I was involved in, watched them shamefully hold their hand back and offer new promises for the future with no assurance of the short term goals and safety of programs and activities. This is shameful and even more shameful that the administration apparently has no desire to look students in the eye and tell them that Calvin is pivoting into a generic evangelical college instead of a school with a unique outlook on the world and with intentions to always critically engage culture. SAO is the reason I can get my non-religious and non-christian friends to respect that my Alma Mater Is not just another religious private school. It taught me to discern art and the world in a way that built up the conversation. SAO was something I participated in as a student and as an Amulnus living in Grand Rapids. It was on of greatest prides and joys of Calvin. Something I was proud to share with the world. I am deeply concerned by this cut. I want to continue to donate to my Alma Mater, but I will find it difficult with this decision. Ken and SAO were integral to my college education at Calvin and probably one of the most positive and thought provoking parts of my experience at Calvin. Cutting this program is extremely short sighted and frankly a travesty. Going against the grain of all the other comments…. 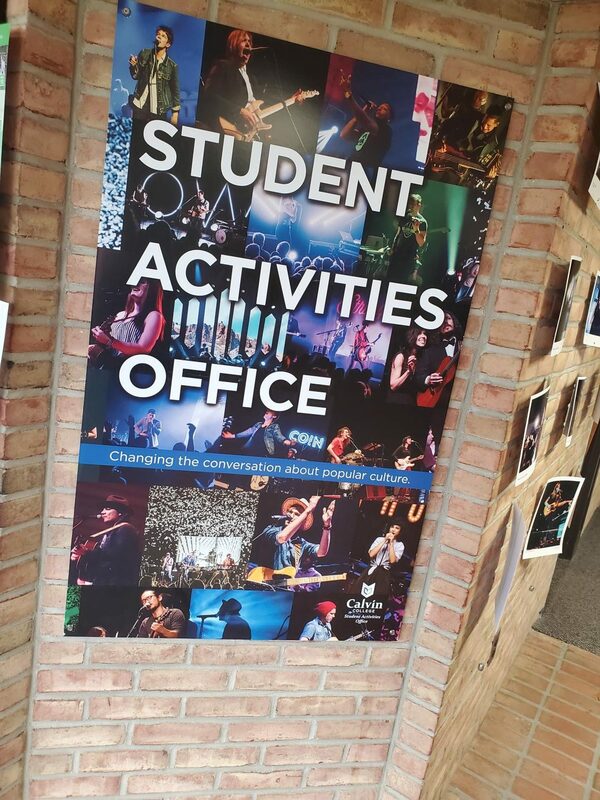 If Calvin uses its Campus Involvement team to replace SAO concerts and movies with better activities for student CONNECTION I think this can be a positive move. Movies and concerts are great activities for friends to do together but to meet new people and engage not so much. You can’t talk at a concert or movie, so it’s much harder to connect with someone new. Our daughter studies a great deal and lacks the time it takes to make intentional friend connections. It would be great if Campus Involvement would schedule things like HOPE College does that actually makes it easier to engage in conversation and fun. They have Coffee House entertainment (student musicians & performers) – which allows for more conversation with others during the event. They have Nerf Wars, Mystery Solving events, Jack Box nights… These types of events not only make a way for students to engage with each other, they do not have the hefty price tag that concerts do! I sincerely hope Calvin steps up its Student Activity game (pun intended) with this change – and does it SOON! And if Campus Involvement reads this post – consider doing SPEED FRIENDSHIP events – think Speed Dating, but with the idea of connecting students with similar interests. This would be great to do every few 2-3 months; another college has done this with great success. Do you hear that…. TAPS is playing for the loss of a truly reformed worldview at Calvin College. No matter how Calvin spins this (and they most certainly will) they are sacrificing their alleged core beliefs on the altar of pragmatism. It is so easy to talk a big game about cultural discernment and cultural engagement when all institutional dynamics are equal. But when enrollment goes down and there is budget discussions… shocker, Ken and the entire SAO get the axe. Every square inch that brings in revenue. Every square inch that helps job placement statistics. Every square inch that protects our national ranking among similar schools. Calvin is quickly losing its soul. Sadly, the administration thinks it hasn’t changed. Job well done Ken. Your legacy is the thousands of students who engage the world every day with the tools you gave us over 25 years of excellent work! We are deeply grateful! This is just another result of the debt Byker put Calvin College into. How can a president of a Christian College not be held accountable for its financial ruin? Here’s something to teach the next generation, live beyond your means, because there are no consequences in life! This saddens me. I was a CD my sophomore and senior years, and benefited from the mentoring of Ken and three other employees in the SAO. I agree that the SAO is an important practical way that Calvin lives out its perspective in the world of higher education and the world of West Michigan. It would also be disappointing to lose the formative aspects of the work. 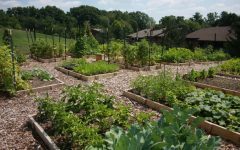 I wonder if there is a way to raise an endowment to support this work in a more permanent way? ($50k + Ken’s salary is probably small compared to other endowments.) As ask to the alumni community might work well, given the strong support shown here.